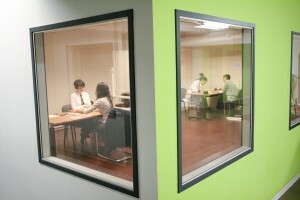 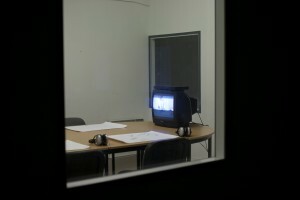 Film still from ”The Analyst”, a part of the Surveillance Room installation. 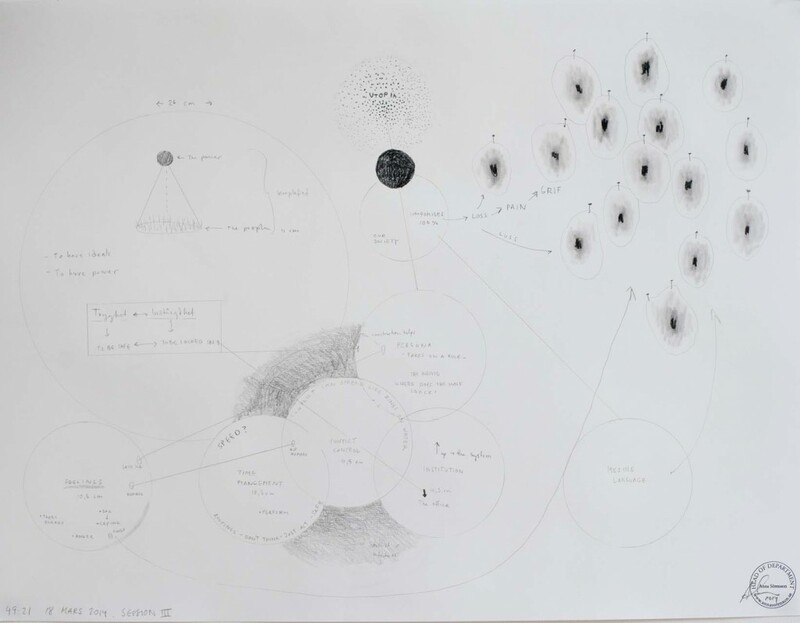 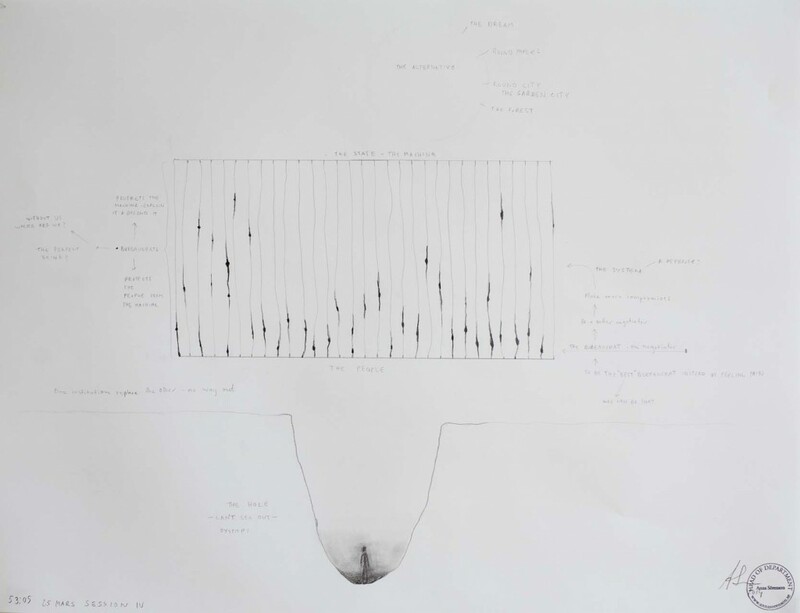 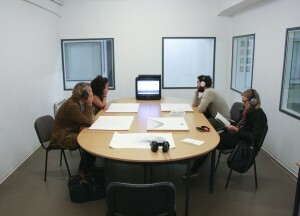 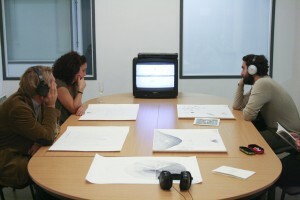 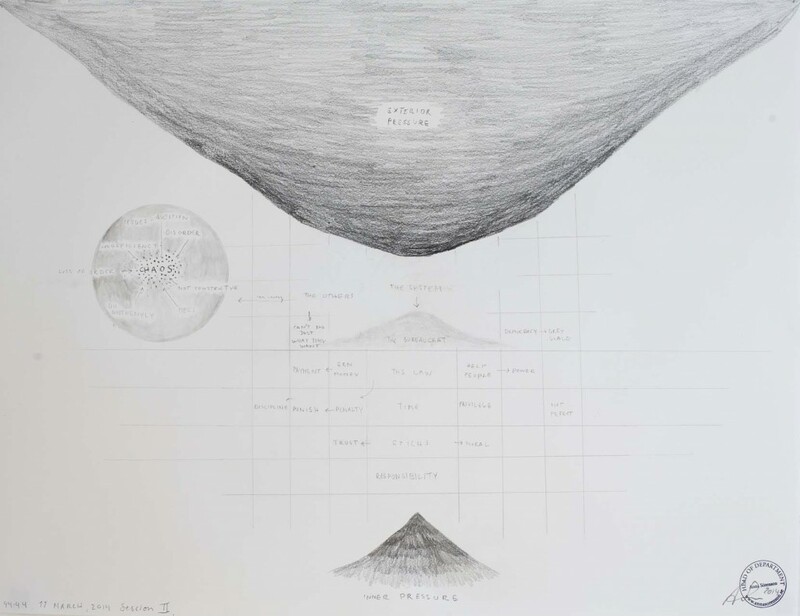 ”The Surveillance Room” is a installation containing five drawings, five audio files and a TV where the film ”The Analyst” is going on a loop. 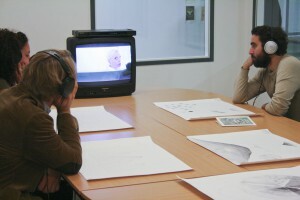 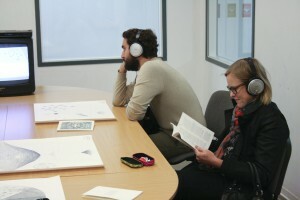 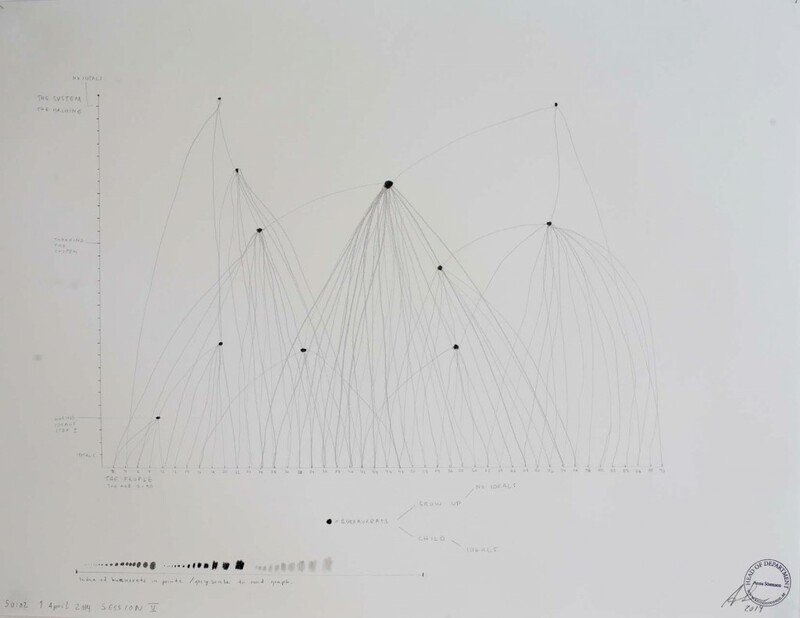 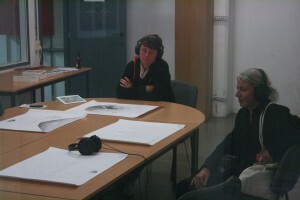 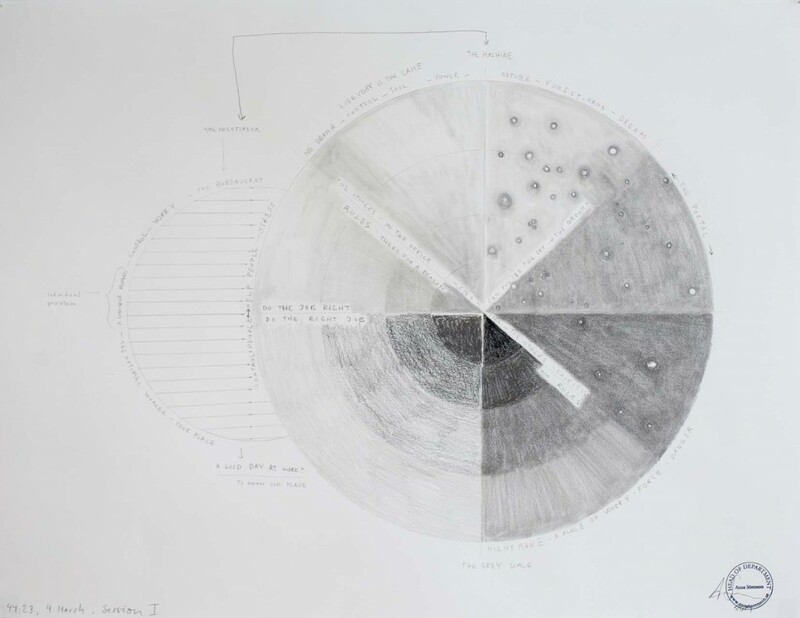 The audio for the movie ”The Analyst” is the audio copied from the edited version of ”Therapy with a Bureaucrat”, the analyst is listening to the conversation while making diagrammatic drawings. 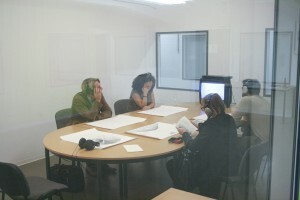 The drawings/diagrams are laid out on a big table. 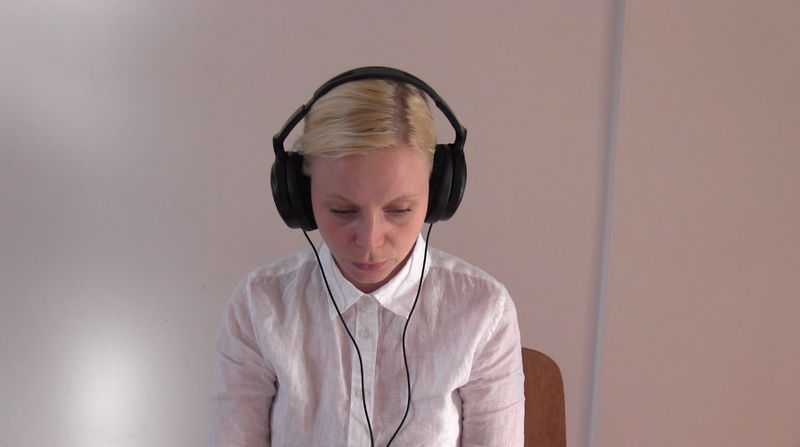 In the headphones you can here The Therapy Session translated into English and read as a dialog. 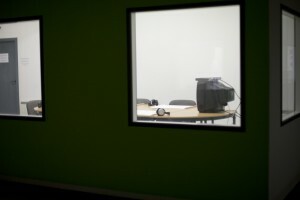 The installation shots is from when I installed it at a.pass, in Brussels, 26-27 of September 2014.